I have been involved in many road design projects and from an engineering standpoint, road reconstruction offers a number of interesting challenges. For a new road design or a total rebuild, the designer is mainly dealing with new alignments which are influenced to a lesser degree by the prevailing conditions and features. Conversely, for a road reconstruction design, the designer is confronted with the need to integrate and match existing and new features. A clear understanding of what sections of road needs to be demolished or remain intact is critical. As such, the designer will need to derive from the field survey data (LiDAR is quite common), a representation of the best-fit horizontal and vertical alignment. Generating the best-fit alignment is a significant step because it is on this that the whole road design will be based. Luckily, best-fit alignment algorithms are available where the designer specifies the relationship between the survey points in order to reproduce the alignment tangents and curves/spirals. 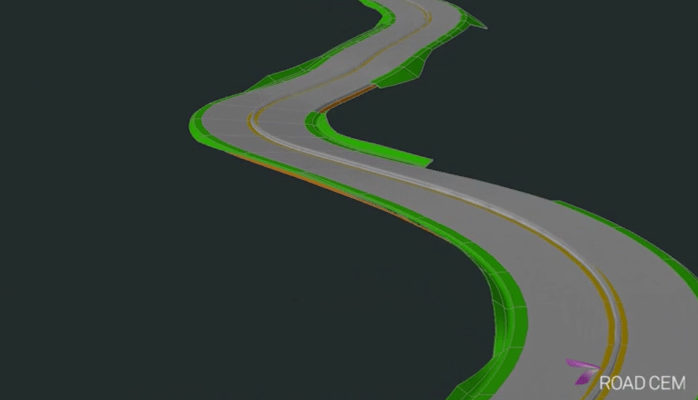 The following video shows how this can be achieved in 4 minutes using the ROAD CEM design software – https://lnkd.in/eJM7dMc.